Prides Deli & Pizzeria, was purchased in 2009 by Endicott alum Michael Magner. As a local student Michael was a frequent customer of Prides. Michael loved the location and thought of Prides Pizza as the undiscovered jewel of Beverly, Ma. Michael believed that with longer hours and better ingredients, Prides could become something special for students and residents alike. And over the past few years that is exactly what has happened. Prides has since been voted “Beverly’s Best Pizza” and business has thrived. Prides is home to some of the best eats on the North Shore. In 1947 Concettina Mantella immigrated to America from Calabria, Italy. Concettina brought nothing except the clothes on her back and old country recipes that had been handed down to her. 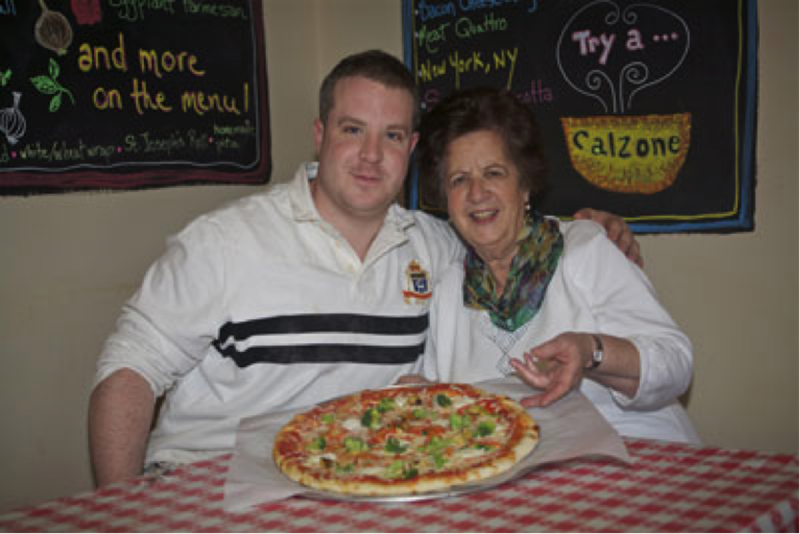 Sixty-two years later, Concettina handed down her secret family recipes to her grandson Michael who founded Prides in 2009. Michael has remained true to his grandmother recipes. Calling for fresh ingredients, and attention to detail. "Thanks for a great dinner!!!" "Whoever just made my ham egg and cheese is amazing. This is delicious." "Great pizza and sandwiches...worth the drive from Worcester!!!!! Even my "pizza picky" husband loved it!!!!"